Last week came an announcement from Ulstein Group in Norway that it had signed a letter of intent to build one or more new X-Bow design expedition cruise vessels. For an unidentified owner, these vessels would follow closely on the framework agreement signed in March for up to ten slightly smaller X-Bow ships for SunStone ships. Also unidentified for now is the German owner who is negotiating for two new 820-foot 1,200-berth cruise ships to be built by the Brodosplit shipyard in Croatia. Finally, we have a look this week at the recent Porto & Douro Cruise Forum. 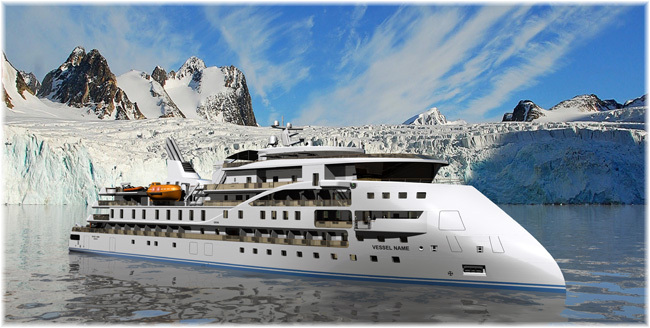 On Wednesday, May 31, Ulstein Verft announced that it had signed a Letter of Intent with an undisclosed owner for the construction of one or more 10,000-ton Type Ulstein CX104 expedition cruise vessels. These vessels will be the most unique expedition vessels in the market, combining unparalleled guest experiences with excellent exploration facilities, and polar capability beyond anything seen before. At the same time, they will minimise both environmental impact and operational cost. “We are pleased to have been chosen as partner in this exciting project and we now look forward to turning this project into reality,” said Ulstein Group ceo Gunvor Ulstein. 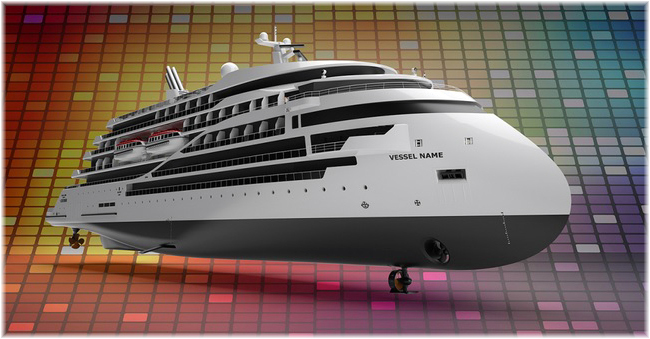 The design by Ulstein Design & Solutions incorporates the distinctive X-Bow design. The vessel will be about 395 feet long and 66 feet wide. The focus has been on creating a safe comfortable platform observing environmentally friendly and sustainable solutions. In addition, the design gives passengers the best viewing experiences while sailing through the world’s most spectacular scenery. The vessels will surpass the newest regulatory demands for taking passengers to Arctic and Antarctic waters, and are planned for delivery in 2019 and 2020. Two months earlier it was announced that SunStone Ships of Miami had signed a framework agreement with China Merchants Industry Holdings to build four 7,000-ton vessels, with options for six more. These will have dimensions of 341 feet by 60 feet and accommodate 160-190 passengers. China Merchants in turn entered into an agreement with Ulstein Design & Solutions to supply the vessels’ design and equipment package, as well as the supervision for the building of the vessels. Celebrating its 100th Anniversary this year, Ulstein Group is a well known international designer, builder and provider of ship system solutions. The family-owned group is headquartered in Ulsteinvik, Norway, and has over 600 employees in six countries. Croatian shipyard Brodosplit is reportedly in the process of landing an order for a new ship from a German operator. The vessel, said to be valued at €350 million, is planned as an 820-foot, 1,200-berth ship with a crew of 600, and there is an option for a sister ship. Reported to be for unidentified owners, the size is below the usual for Aida or Tui, and the passenger/crew ratio too small for Hapag Lloyd. 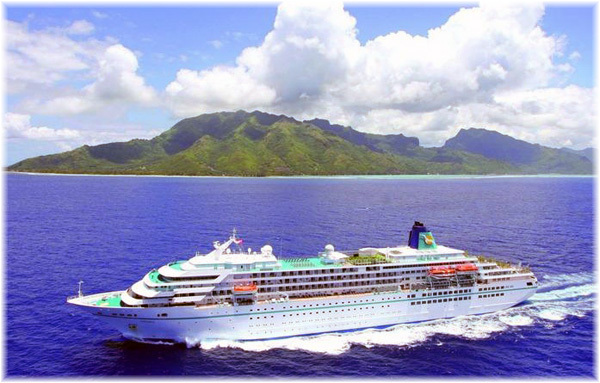 There has been speculation about Phoenix Reisen, whose ships generally fall within this size, and Celestyal Cruises, who have been planning two new ships, but the latter are Greek-based and not German. Also under constructuion at Brodosplit are the 300-berth Flying Clipper for 2018 delivery to Star Clippers (although nothing has been heard recently of progress on this already-delayed ship) and the 180-berth Hondius for delivery to Oceanwide Expeditions in 2019. On May 24, Porto was the host, with the Porto & Douro Cruise Forum 2017, of an event organised by Cruises News Media to bring together the local, national and international cruise industry. The event arose from an initiative by Porto Cruise Terminal and Via Navegavel Douro and co-financed by the European Union. The forum took place at Porto Cruise Terminal, in the southern part of the Port of Leixões, and overlooked a cruise ship for part of the event. Helena Gomes, commercial and marketing manager at the port, advised that there had been a 74% growth in local cruise passengers since 2010. 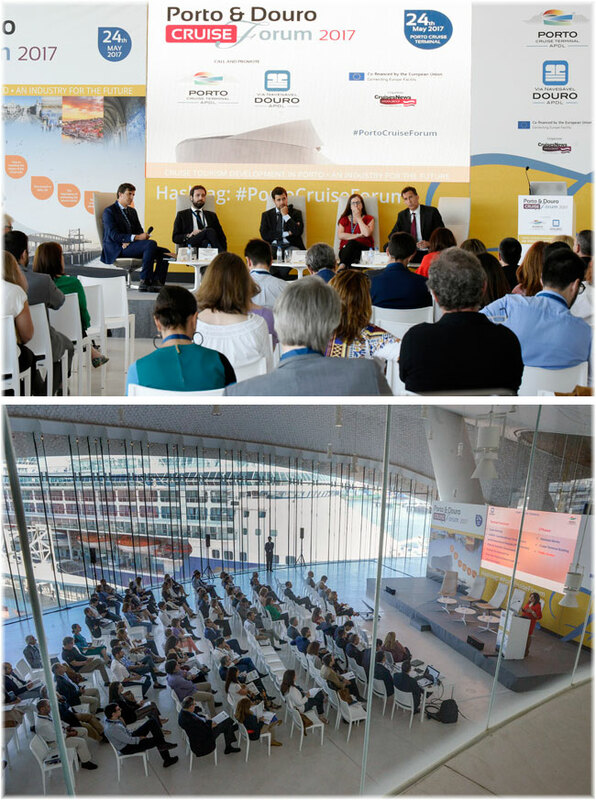 Two panel discussions covered Portugal as a cruise destination and as source market respectively, with Pullmantur expressing satisfaction of its passengers with calls in Lisbon and Porto, while Royal Caribbean Cruises highlighted a need to expand facilities to accommodate larger ships. The importance of developing a good source market was stressed as this has as a consequence increased stopovers and turnarounds. 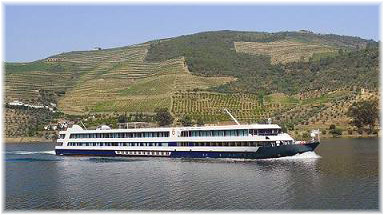 The panel on Portugese river cruising showed that river cruises do not represent any threat to overcrowding on the River Douro, still considered by many to be the last river in Europe where the landscape is natural and there are very few cargo ships. Both Porto and the River Douro being still relatively unknown, the organisers and promoters have highlighted the possibility of this forum becoming an annual event to spread knowledge, promote the destination and evaluate its development.